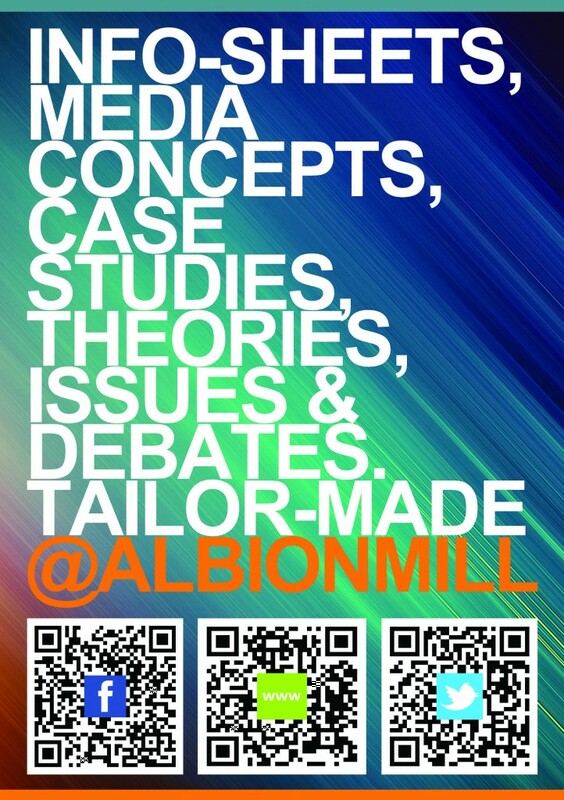 AlbionMill offers a range of resources in addition to the discussions provided on the blog. Annual Subscription – £45.00 – including this year’s info-sheets and full access to the video/bibliography pages. New subscribers can also select three free info sheets from the archive. 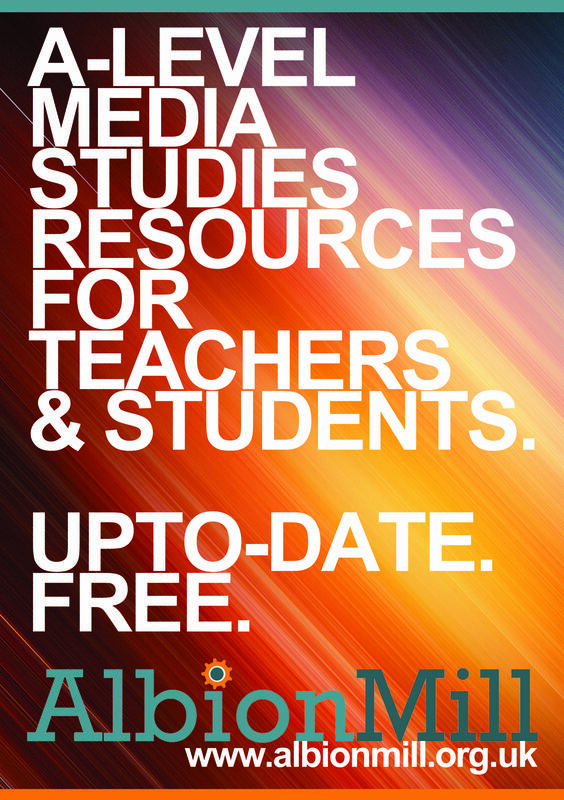 AlbionMill info-sheets are written with A Level students in mind but they do not cover any specific awarding body’s assessment requirements. Resources are focused on the type of knowledge required by all awarding bodies and will apply media concepts and ideas to media products, issues and debates. Links to textual examples and suggested resources will also be included where relevant. Info-sheets published from September 2017 proved content related to the reformed AS and A Level.